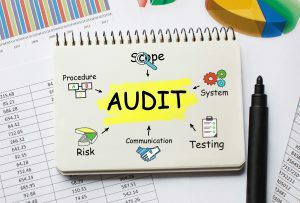 What does it mean for a business to be “Audit-Ready”? Being ready for an audit requires skills and knowledge. A mixture of tax laws, accounting values, understanding of requirements for CRA audit, and an understanding of best categorization for an expense is required for bookkeeping to be audit-ready. WHY IS IT NECESSARY TO HAVE AUDIT-READYBOOKKEEPING? GAAP (Generally Accepted Accounting Principle) is followed in a conventional system of accounting. The major drawback of this system is that it is not audit ready. Businesses are placed into an end turn at audit time. This is actually a crazy approach. CRA has an engraved and dehydrated audit process. Accounting should be done in a suitable mode which is audit ready. We have acknowledged that a restriction of bookkeeping software and simply the training of accountants is not how to have the books ready for an audit. The most sensible method of bookkeeping is to make it ready for audit. When bookkeeping reflects the exact figure of tax return which is under stable, justified by an auditor and owner, it shows that each and every step is transparent. A company that is not afraid of audit, because they are always ready for one, is known to be an honest and transparent organization. If records are well maintained and organized, then bookkeeping is simplier and is ready for an audit, tax time, and to provide feedback information to it’s owner. The key step in audit ready bookkeeping is the categorization of expenses. All source documents, slips, deposits, invoices, and records are well organized. Documents of all business dealings and transactions are gathered. This data provides justification to an auditor. All kinds of business events affect a business financially. A bookkeeper knows the relevant information and its financial effect on business transactions. A business is either worse off or better off as the result of its dealings. The bookkeeping procedures identify the financial and business aspect of the relevant information regarding each transaction. A tracking or item number is assigned to all financial transactions. This number is critical for an audit as it is used to trace the trail of all transactions. Business statements should justify expenses. At times, all expenses are not justifiable. A few can actually be inappropriate and not allocated properly. These expenses results in loss and huge costs for the business. Auditors make assumptions of expenses and critically evaluate them. All of these steps are critical in maintaining up to date records, preparation, and management of accounting reports, government audits, tax returns, and audit ready bookkeeping. Poor bookkeeping results in loss of money for the business and it’s owners. Enhances the compliance of the business with internal revenue service regulations. Enhances the credibility of company on public, investors, and other stockholders. Prevents fraudulent cases and business losses by detecting discrepancies in early stages. Improves accounting processes and internal controls. All above advantages guarantee high-level investments to audit-ready businesses because it declares that it is transparent and safe for investment. Investors know that they will not face losses or fraud in an audit-ready business. An audit-ready business attracts investors to make high-level investments because of the guaranteed profits and the minimized chance of loss and risk to their money.